David Green - University Animation Student Blog: My personal Influence Map. 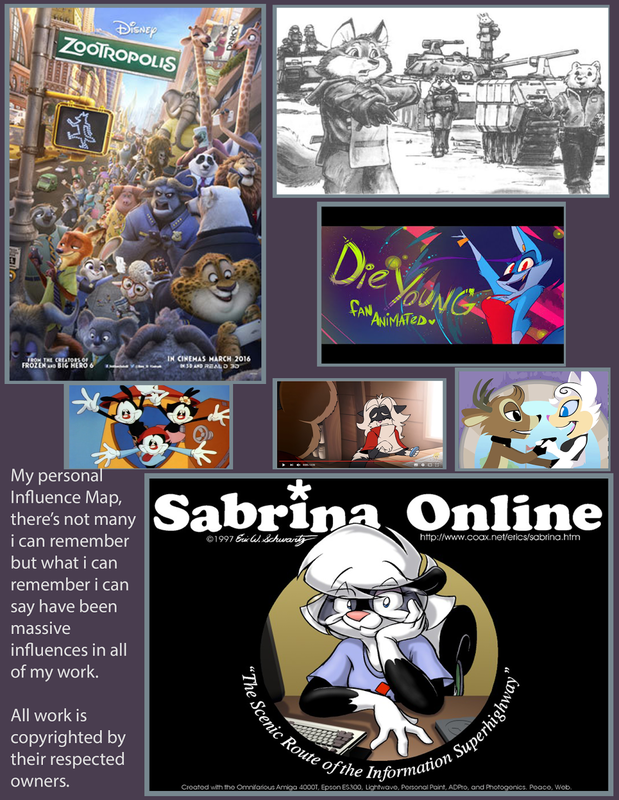 Looking back there were few things that strongly influenced me with my work, there were obviously loads of things that did but they weren't so strong as for me to notice, this is an influence map showing what has influenced me the most over the years that I have drawn and animated. Perhaps because I mostly work on a commission basis but looking back there's not a lot I have done for myself when it comes to art, so many ideas and dreams that took the sidelines because I had to work on commissions. One day I would like to create a world of my own, to create and animation, comic book or video game in which my characters can live and grow. But for now, this is my Influence map... I hope you like it.